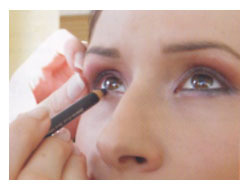 Our therapists have extensive training in make-up application and we use only the very best products. We will achieve your desired look, ready for that special occasion. will be provided to help recreate your look at home. completely at ease on your special day.